In this amazing and busy world, when do you find the time to sit and ponder what you want for your life? What are the right questions to ask to get to the "aha" moments and make some breakthroughs to clarity? This Monday Motivation session is the gift of time and a supportive community in the same boat-ready for answers! Career Coach and Counselor, Caitlin Magidson will facilitate a discussion around questions to help you unlock and tap into what moves and inspires you both in your personal and professional life. Whether you've been thinking about a career change or wanting to make some personal pivots, this presentation will help you get curious about what your soul wants next. 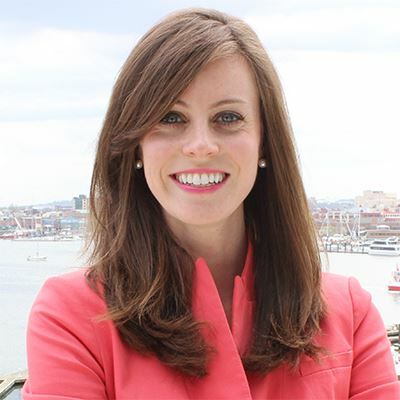 Caitlin Magidson is a Licensed Professional Counselor, National Certified Counselor, and Career Coach at the Johns Hopkins Carey Business School. She also provides both career coaching and counseling services in her Maryland-based private practice. Caitlin facilitates career retreats and incorporates mindfulness into her work as she approaches career conversations from a holistic perspective. Active in professional organizations she sits on the board of the Mid-Atlantic Career Counseling Association, and has presented at both local and national conferences. Caitlin holds an MS in Mental Health Counseling from the Johns Hopkins University, BA in Corporate Communications from Elon University, and is a Certified Career Management Coach through The Academies.